Researchers at Bordeaux University have traced the impact of the 2011 Fukushima nuclear disaster to the Californian wine industry, identifying a trace spike in radiation levels in wines from the 2012 vintage onward, which nevertheless remain within a normal threshold. ne Marquet and Philippe Hubert at the University of Bordeaux Centre d’Études Nucléaires de Bordeaux-Gradignan (CNRS) in France revealed that levels of cesium-137 in the atmosphere rose after the level-7 nuclear reactor accident. Natural radioactivity has always existed in the earth’s atmosphere, soil, seas and rivers, and is found in trace amounts in much of the foods we eat, but rarely at a level that would be of any concern. The same is true of the wine industry. This study’s aim was to determine if the Fukushima incident affected the level of natural and artificial radioactivity found in Californian wines in the same way that the Chernobyl incident had impacted wines from SW France in the 1980s, and thus the distance over which such a disaster’s impact could spread. As detailed in the table below, a radiation spike was detected within the wines of SW France following the 1986 Chernobyl disaster in Ukraine. Similarly, a radioactive cloud released by the Fukushima Daiichi plant made its way across the Pacific and to California’s Napa Valley, where trace amounts of the highly soluble cesium isotope were able to be absorbed by grapes. Consequently, a typical bottle of Californian Cabernet Sauvignon doubled its cesium-137 activity from about 7.5 mBq per liter to around 15 in 2012, which is minuscule compared the level of radiation found in wines during the 1960s at the height of the Cuban missile crisis. Researchers tested bottles of Californian Cabernet Sauvignon from 2009 to 2012 vintages, finding that the levels of cesium-137 varied before and after the Fukushima incident in 2011, with red wines containing slightly more radiation than their white or rosé counterparts. The spike in radiation observed following the Chernobyl incident in wines from SW France in the 1980s was more strongly felt than the impact caused by Fukushima upon Californian wines, and in any case all levels of radiation detected have not been deemed a concern to public health. “Radioactivity has been around since the earth was created and it exists naturally in the atmosphere, soil, seas and rivers. Inevitably some of this gets into the food we eat,” the UK Food Standards Authority states. “Radioactivity occurs naturally in all food.” Consequently, radioactivity in food stuffs, and the disposal of radioactive waste, are carefully monitored. Artificial radioactivity, caused when radioactive materials are discharged into the environment from nuclear operations, can pass into the food chain the same way as natural radioactivity, and are more closely monitored. In 2014, the US FDA reported that it had found no evidence of increased levels of radiation in its food supply following the Fukushima incident “at levels that would pose a public health concern”. Since the advent of nuclear weapons and associated tests, every bottle of wine, and food in general, has contained some detectable level of cesium-137. In 1957 a bottle of wine could expect to have had levels of cesium-137 hundreds of times the amount found now, due to the level of atomic testing taking place at the time. Consequently, any bottle of wine from the 1952 vintage onwards (although some argue 1945) will contain trace levels of cesium-137, making a radioactivity test capable of weeding out fraudulent wines. Any wine claiming to be older than 1952 this should not contain even a trace on cesium-137, according to researchers from the CNRS, who first developed this method of verifying the authenticity and age of a wine. “The advantage of this [measuring] technique is that it does not require the opening of the bottle (a prerequisite for collector bottles) at the expense of a loss of sensitivity and a sharp increase in measurement times,” the researchers noted. UPDATE: See below for a full statement from the California Wine Institute. “The World Health Organization and United Nations organizations have confirmed that there is no public health concern from food produced around the world, including from California, due to the Fukushima nuclear power plant incident in 2011. “Alarm was raised from The University of Bordeaux’s recent report on levels of Cesium-137 in a set of California wines. However, based on the university’s published measurements, the California wines contain 100 times less than the World Health Organization guidance level for Cesium-137 in drinking water. 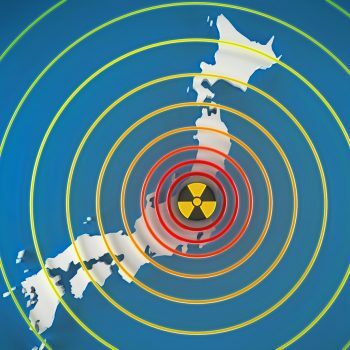 “According to Kai Vetter, UC Berkeley professor of nuclear engineering who measured radiation with a team of students and colleagues five years after Fukushima, and in comments to the San Francisco Chronicle on March 10, 2016, his team found nothing of concern. Vetter said people may not realize that they are exposed to radiation constantly and that levels of leftover nuclear radiation, such as that which leaked from the Fukushima plant, may be lower than naturally occurring levels in everyday life. Finally, the mystery has been solved. Now we all know why W.C Fields had that big red nose. I totally agree with Prof. Vetter on his remarks. regarding the fact that the radioactivity levels we measured are so minute there should be no health hazard. I also agree on the fact that people are not aware of the natural radioactivity that surrounds us and that is also present in our bodies.